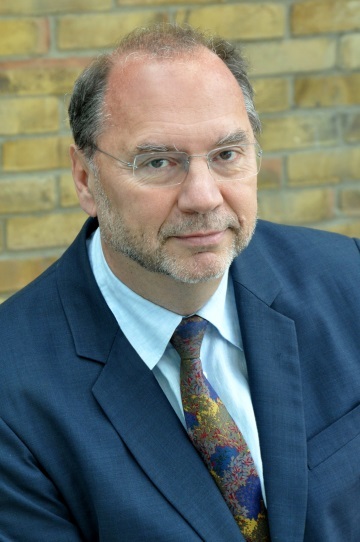 Dr. Peter Piot is the Director and Professor of Global Health at the London School of Hygiene & Tropical Medicine, as well as a Plenary Keynote Speaker at ASLM2014. When the laboratory team was finally able to isolate and examine the pathogen under an electron microscope, they saw a virus that Dr. Piot described as “very large, long, worm-like.”  Then, Dr. Karl Johnson’s team, from the Special Pathogens Unit of the US Centers for Disease Control, confirmed the virus as being completely new and different from the Marburg virus. Dr. Piot would go on to join a team of scientists in Yambuku, embarking on an epidemiological investigation to determine how the new virus spread. The virus would come to be known as Ebola. Today, more than three decades since the discovery of Ebola, Dr. Piot is closely tracking the current situation in West Africa, site of the worst Ebola outbreak in human history. ASLM recently spoke with Dr. Piot about Ebola containment strategies and the importance of laboratories. Given your history working with Ebola, what strategies or next steps would you recommend the international community take to contain the spread of the virus? The way I see it is that the international community is there to support local efforts, so the first thing is to ensure local leadership, which is absolutely key. I think what is being set up now, in terms of treatment facilities, isolation wards, and infrastructure, is going to be very important and is really an integral part of the strategy. That is where the international community can contribute most. When it comes to stopping transmission in the community, that is far more difficult. The work of outsiders is to support local efforts, such as with safe burials, communication, and education. This has to be really embedded in local tradition and local culture (to stop transmission). The international community can provide funding, can provide logistic support, and then, in addition, taking a longer term view is helping with the development of both drugs, vaccines, and rapid diagnostics, and making sure that they can be accessible. Are there specific lessons to learn from Nigeria? 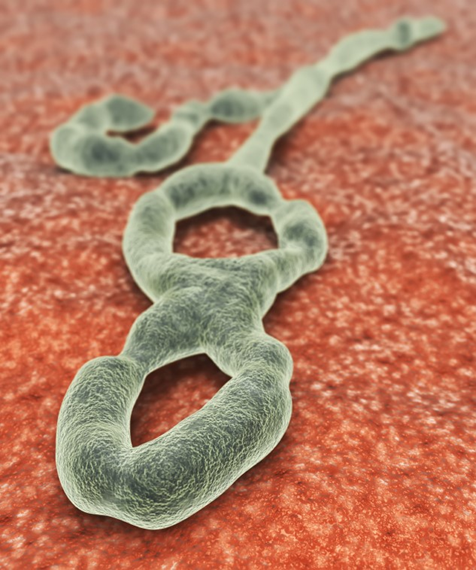 Rendering of a microscope image of Ebola virus. Yes, Nigeria – and let’s not forget Senegal and DRC (the Democratic Republic of the Congo). There are three countries in Africa that have controlled Ebola outbreaks, including in DRC contained entirely by Congolese scientists and public health officials. They really brought that epidemic under control. In Senegal, there was not one secondary case; they were very well-prepared. In Nigeria, unfortunately, there were a number of infections, but they brought it under control. The biggest lessons are: 1) leadership is really important, 2) making sure there is a prompt response, and 3) to have infrastructure — in Nigeria, DRC and Senegal, they have local laboratories, and to diagnose Ebola they don’t have to send samples to the other side of the world for a diagnosis. So that is key as well. Why are laboratories, aside from what you just mentioned, important for strong national health systems? There are several levels. At the individual level, proper diagnosis is always the best tool for proper treatment. But, there is also a public health dimension, and that is to know how to detect epidemics. But also, for example, investigating what are the most common causes of fever in a given community or country. That requires laboratory diagnosis. Today, in many countries, the assumption is that if a child has a fever, it’s malaria. Well, with the growing success of anti-malaria programmes, that’s going to be less and less the case, so what is it? Many of these are treatable conditions. The laboratory is really essential at the individual level but also at the population level. What role could ASLM have in the Ebola outbreak response, in your opinion? ASLM is a unique organisation bringing together the fairly small community of medical laboratory specialists. You can see on the ASLM website (www.ASLM.org) that there is good information. ASLM is exchanging the latest techniques, and it is also providing direct assistance to countries that are less well-equipped. Laboratory medicine is often a neglected and forgotten aspect of the health system. First of all, they will get up to date on the most practical, hands-on laboratory science and health techniques that can be used on the continent. Networking and connecting with colleagues so that scientists can know who to call and rely on when they have a question is really important, and allows the development of new collaborations. Today, a lot of collaborations in Africa are with the North, but not so much among African scientists or laboratory leaders. The conference can really stimulate that and can change that. The reality is such that today there are centres of excellence all over Africa. Learning from each other, and from our neighbours, makes at least as much sense as collaborating and learning from someone thousands of miles away. This can lead to strengthening each other’s capacity, it can be very practical—sharing reagents, sharing machines, having regional training programmes—all of that is very important. Can you tell us why laboratory accreditation is important? It’s simple. The laboratory is only useful as long as it is reliable and accurate. Accreditation is a guarantee of that. Unreliable results are not only a waste of money, but they can be dangerous because they can lead to the wrong treatment or even cause death. So, accreditation is absolutely essential, and having that discipline of excellence is essential. That has also made a big difference in many countries, and the trust of clinicians and public health officials in laboratory results will be far greater if there is accreditation. I think that ASLM is really a great step forward in the building of health systems in Africa. It is becoming a very professional organisation, and I think it will really make a difference in the lives of many, many Africans. Piot, P. (2012). No Time to Lose: A Life in Pursuit of Deadly Viruses (pp. 3-4, p. 12). New York: W. W. Norton & Company. Piot, P. (2012). No Time to Lose: A Life in Pursuit of Deadly Viruses (pp. 6-8). New York: W. W. Norton & Company. Piot, P. (2012). No Time to Lose: A Life in Pursuit of Deadly Viruses (pp. 7-8). New York: W. W. Norton & Company. Piot, P. (2012). No Time to Lose: A Life in Pursuit of Deadly Viruses (p. 14). New York: W. W. Norton & Company. Piot, P. (2012). No Time to Lose: A Life in Pursuit of Deadly Viruses (p. 15). New York: W. W. Norton & Company. Piot, P. (2012). No Time to Lose: A Life in Pursuit of Deadly Viruses (pp. 26-32). New York: W. W. Norton & Company.